Daikin Emura? for Multi-Zone systems is a highly Intelligent system with innovative features Offering a sophisticated solution for contemporary interiors, the new Daikin Emura combines form and functionality to create an icon of contemporary climate control. Available in silver or pure matte white, Daikin Emura makes a modern design statement on any wall. Daikin Emura? was designed to perfectly balance technological leadership and the beauty of aerodynamics. The next generation of home air conditioning is here, offering smart technology within a sleek, curved silhouette. Daikin Emura? air conditioners are designed to satisfy a uniquely ?Designer? sense of style. Offering a sophisticated solution for contemporary interiors, the new Daikin Emura? combines form and functionality to create an icon of contemporary climate control. 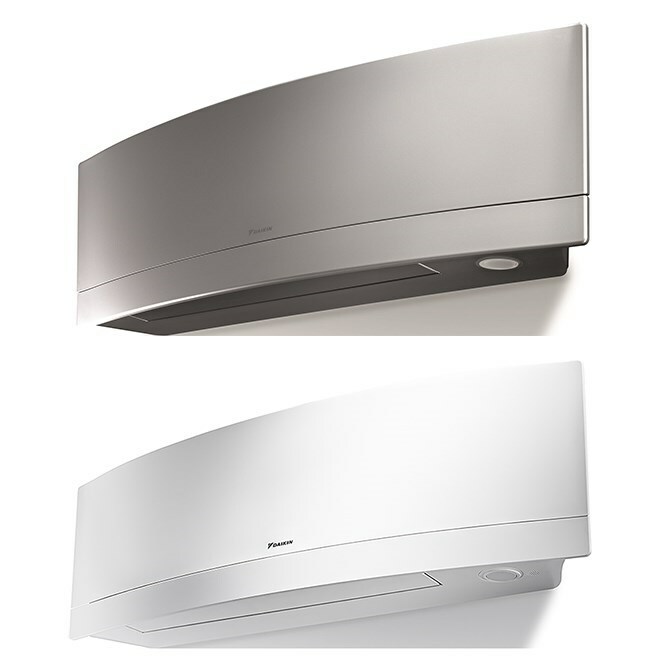 Available in silver or pure matte white, Daikin Emura? makes a modern design statement on any wall. Inside the understated exterior is a highly intelligent system, which can be controlled remotely via the Daikin Comfort Control App even away from the home.